If you’ve been searching for an expert to install your new windows and doors, you can rest easy knowing you’ve met the perfect match with Renewal by Andersen® of Montana. Since you already know how great our parent company is (Renewal by Andersen has installed more than two million windows throughout the country), then you know you’ll be in good hands with your trusted local representative of Renewal windows and doors. Our products are affordable, effective, beautiful and durable. What more can you ask for? We’re happy to serve homeowners in Livingston MT, the county seat of Park County, situated on the scenic Yellowstone River, and home to 7,000 people. It’s clear your Livingston neighbors have pride in their homes and we want to keep that going. If you are experiencing high energy bills, or your home is looking tired and outdated, turn to Renewal by Andersen of Montana for the perfect solution. With us, you’ll get attention to detail, accurate measurements, and a weather-tight seal for optimal energy efficiency. Our windows also happen to be easy to clean and maintain, with the ability to lock in the heat and cold throughout the seasons. You’ll love the fact that our products are protected by one of the strongest warranties you will ever find*, plus Renewal by Andersen’s High Performance™ Low-E4® SmartSun™ glass is 70% more energy efficient in summer and 45% more energy efficient in winter as compared to ordinary dual panel glass**. In addition to all that, our exclusive Fibrex® frame material won’t pit or corrode, plus you’ll never have to paint again. Renewal by Andersen of Montana should be your premier destination for new windows and doors. To kick off your project right, get a free, no-obligation estimate when you call us at (406) 259-3944. We are located at 619 Daniel St Billings, MT 59101 for your convenience. 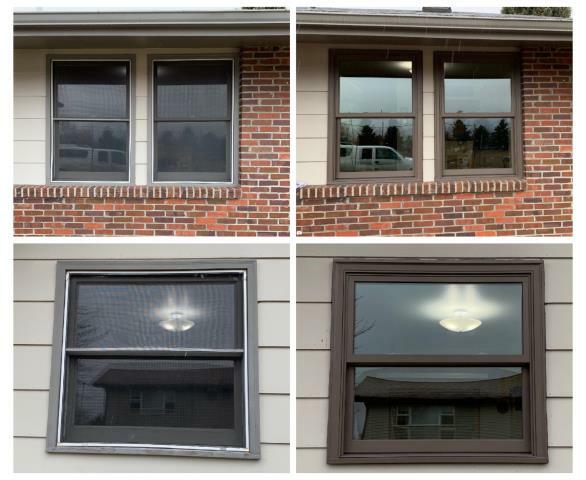 Older windows replaced with new insulated Renewal by Andersen Fibrex windows in Livingston!